Artificial grass is a beautiful, soft, safe, comfortable, easy to maintain product that solves the problems of hard-to-maintain areas due to shade, heavy foot-traffic and pets. Synthetic grass is made of a 3-D technology that makes it exceptionally soft, yet incredibly resilient! You really do need to see it and feel it to believe how life-like it is. It is the perfect complement to any patio or landscaping project, pet area, play-yard, roof-deck or anywhere you want the “look” and “feel” of real grass. 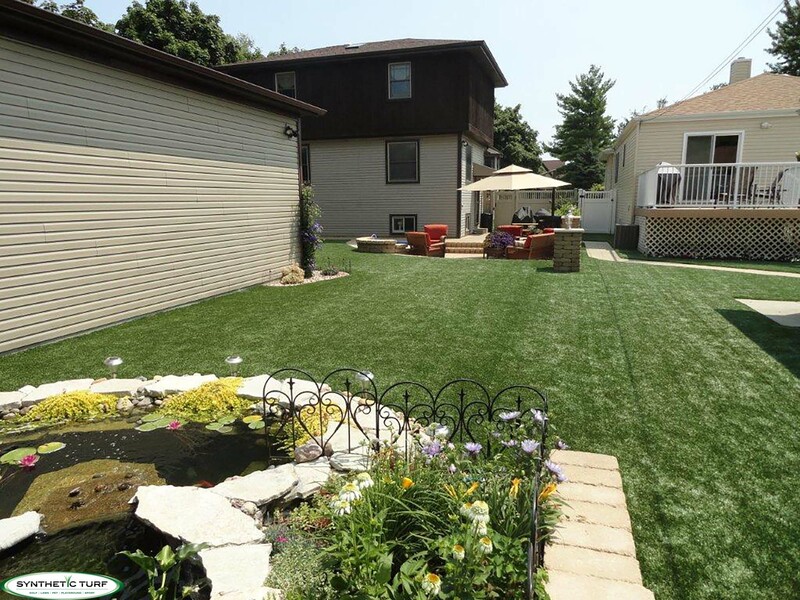 Synthetic Turf of Illinois was the first company in Chicago to professionally install artificial grass. We only sell American Made products and we offer the strongest warranty in the business. We offer both turn-key installation service with our own certified installers, as well as just selling the turf directly to home-owner and contractors. 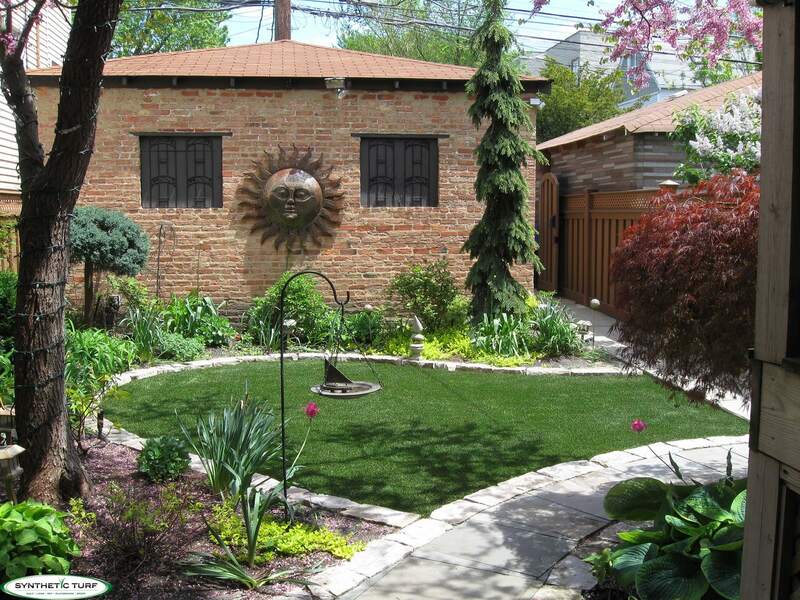 Synthetic grass is labor intensive to install as it needs to be installed over a firm base of compacted stone or our modular sub-base system for optimal drainage and functionality.